Probably something like this just has happened to you: You enjoyed your amazing ball python, you were happy that everything is fine, but then you noticed it. python´s mouth? If that´s the case you really should be worried. If your ball python really has mouth rot, this could end very badly. 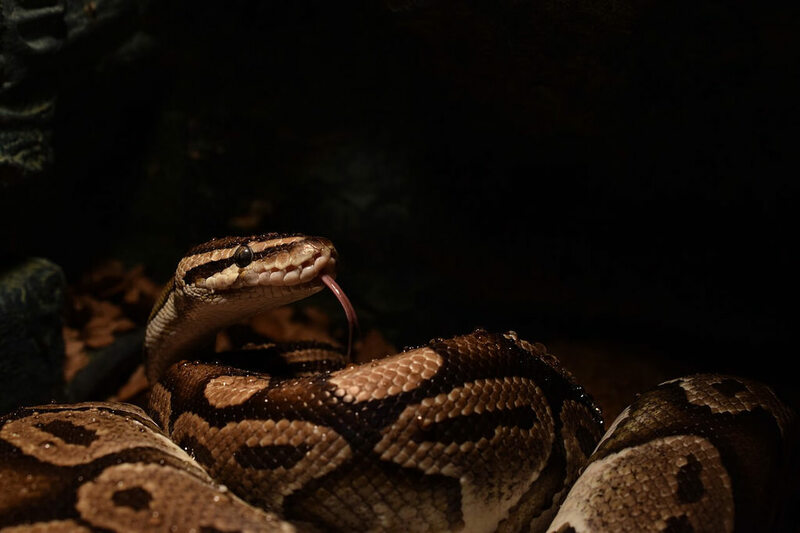 In this article you are going to learn how to identify mouth rot in ball pythons, what you can do now and what you can do to prevent it from happening. 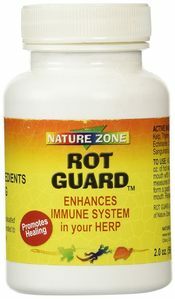 Is It Really Mouth Rot? 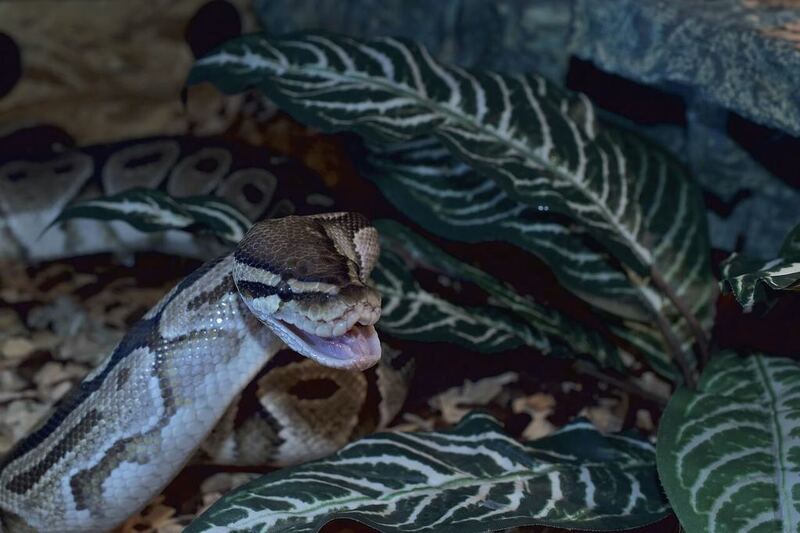 What Causes Mouth Rot In Ball Pythons? So before you start to worry to much, first you have to make sure that your snake really has mouth rot (or stomatitis). 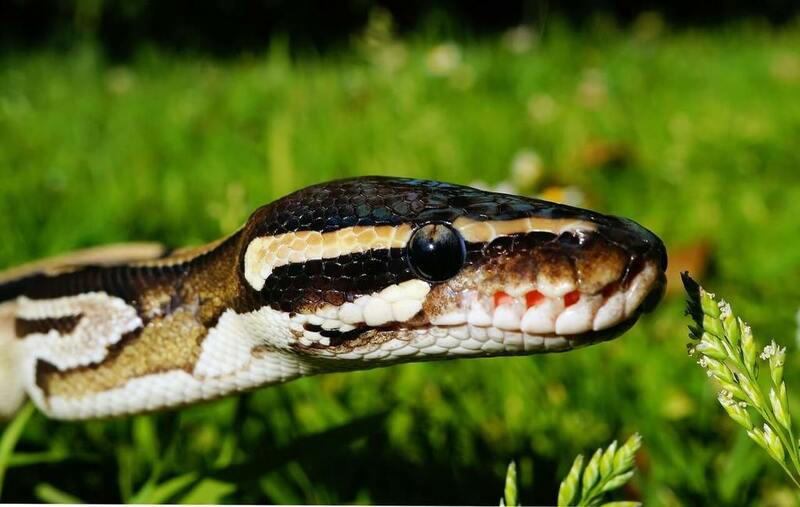 Often new snake keepers see a dark spot around their ball python´s mouth and think that it might be mouth rot even though it is just the normal color of the snake. So here is how you can tell if it is really mouth rot. You might see a lot of mucus inside your snake´s mouth. Most probably your snake will open it´s mouth more often than normal. Exzessive salivation is another sign of a beginning mouth rot. If you are brave enough, have a look inside your ball python´s mouth. Do you see any red dots? Pink or purple dots? Or even black areas? If you see several of these symptoms, your ball python most probably has mouth rot. The video below shows you how to open your ball python´s mouth safely. Of course you need to know how this could even happen. In order to prevent mouth rot, here are the things you have to keep an eye on. You could call it the root of all evil when it comes to diseases. Not only in animals, as you know, even humans get sick from negative stress. So you should really make sure that your ball python is not stressed. In order to prevent stress, you need a couple of hides in your ball python tank. Further, if you keep your ball python in a glass tank, place the tank in a not too busy place. Your snake should have the possibility to hide at all times. Too frequent handling could be a problem as well. Adult ball pythons are known for being very calm and friendly, but don´t handle it too often as the snake could get stressed even without showing it. In order to stay healthy, your ball python needs healthy food. So make sure that the mice or rats you feed are healthy as well. Don´t feed too often and don´t feed too seldom. In most cases, once a week is fine. Some ball pythons rub their snout against the glass all day. 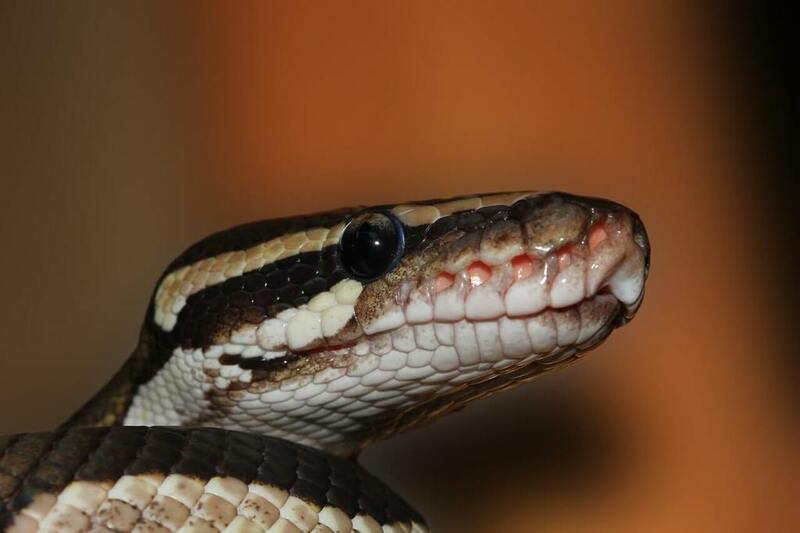 If your ball python´s nose takes damage from that, it could lead to an infection that leads to mouth rot. You should check your tank setup if your snake does that. Probably the most common problem. Maybe your tank is too small and your snake starts to rubb it´s mouth against the glass or plastic all day. Further your humidity could be too high, which could lead to several diseases as well. If your temperature is not right, your snake could get sick. Check your tank setup! If you need help with humidity, read this article. If you struggle to get the right temperature in your ball python enclosure, read this guide. Mouth rot is not a joke. Remember “rot” means that parts of your snake are dying while your snake is still alive. This disease can even attack your ball python´s bones which is very, very painful for the snake. Most probably your snake will lose teeth if the disease has spread. Your ball python will die if the disease is left untreated, that´s why you have to take your ball python to a vet right now. If the mouth rot has just started and you do not see any dark areas inside your ball python´s mouth you might be able to treat the mouth rot with this product called Rot Guard. You have to mix this powder with water and flush your snake´s mouth with it. However if your snake does not get better you should take it to a vet quickly. This powder can help to cure a mild mouth rot in reptiles. 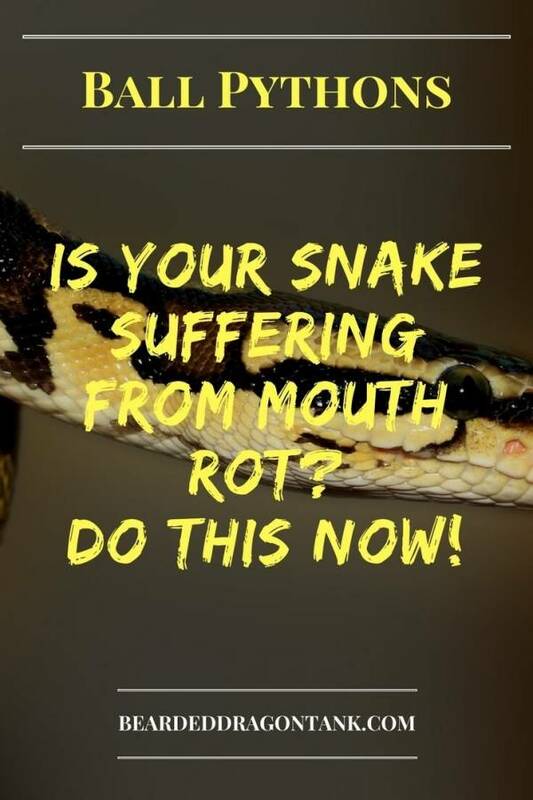 Mouth rot can be treated and it doesn´have to get bad for your snake if you start the treatment early. However if the mouth rot is too bad already or if you see that the disease is not getting better, you should visit a reptile vet as quickly as possible. In order to prevent mouth rot, make sure that you have the perfect tank setup for your ball python. Most of the time this is where problems begin. If you are new to the snake world, or if you are thinking about getting a snake, you might be a little bit intimidated by the thought of owning a snake and you might hope that it doesn´t get too big. (Trust me, I felt exactly like this as well) Or, completely different, you are absolutely fine with having a huge snake, but you are worried about the space such a snake needs. No matter what the reason is you are asking yourself how long ball pythons get, you are about to receive an answer. In this article your are going to learn how big ball pythons get and what you can do if you really want to get a ball python, but you´d rather get a smaller one, because you are a beginner and feel initimidated or if you don´t have enough space. What Does Such A Snake Eat? Actually, ball pythons do not get too big. While the hatchlings are around 10 inches in length, a full grown ball python can become 5-foot long. They can even become longer, but a 5-foot ball python is already pretty big. So it is likely that your ball python might stay a little bit smaller. How big your ball python gets and how fast it grows highly depends on how you are feeding and how good your ball python eats. Ball pythons are known for being picky eaters. The size difference between a good eating ball python and a picky eater at the same age can be huge. However that does not mean that you should “create” your own ball python size by feeding more or less, of course. While the ball python´s head stays rather small, their bodies can get thick, but definitely not as thick as your arm. So, it really is a rather small snake. You might think now, that ball pythons need a huge enclosure. In my opinion, they need a tank that´s rather small. If you have a very small baby ball python, you can start with a long 10-Gallon tank. Although I would definitely recommend to start with a long 20-Gallon tank as the snake should have some space to stretch. Adult ball pythons need a wide 40-Gallon tank, but I recommend to go with a bigger tank, since most 40-Gallon tanks are only 36 inches in length. 48 inches in length is an okay size in my opinion. Further you don´t have to get a glass tank. Most ball python owners keep their snake in a plastic box. It doesn´t look as beautiful as a glass tank, but it is cheaper and some think that it is easier to maintain the right humidity in it. Honestly, keeping the right humidity in a glass tank is not that hard, so get what feels better to you. Always make sure that the enclosure is as long as the snake. 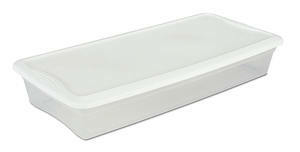 This plastic box is a very cheap solution and big enough for most ball pythons. If you want to know how big ball pythons get, you might also be worried about the size of their food. It is a little bit weird for beginners to feed mice and rats to a snake. I understand that and I felt the same. You definitely get used to it though. Baby ball pythons should eat adult mice. Adult ball pythons will eat full grown rats. If this gives you a weird feeling, I recommend to get your ball python as a baby. This way, you will grow with your snake and it won´t be that hard for you to feed a full grown rat to you ball python. You can still feed your ball python frozen rats, if you don´t want to feed them alive, however it is more natural if you feed them alive. If you want a ball python that stays rather small, you should definitely take a male python. Female ball pythons get 3 to 5 feet long while males only get around 3 feet long. There are no guarantees though. There are males that get as big as females. There are females that stay as small as males. You could also get a full grown ball python with a size that you like. As I said, growth depends on how well the python eats. If you are a beginner and intimidated, don´t worry about it. If you really want this snake, get it and you will see that no matter how big your snake gets, you won´t be afraid of it. It is just a matter of getting used to it. They are not able to kill you and even if they were, they have no interest in doing so as they are pretty calm snakes as adults. Ball pythons are amazing snakes, so do your research and get one if you really want to! If you have any questions, just leave a comment in the comment section below and I will get back to you as soon as I can. Have fun with your ball python! Your Ball Python Is Yawning? Why You Should Care About It! I mean, this is the worst, right? You could an amazing pet and you are so happy about it, but then it shows an uncommon behavior and you just don´t know if that is okay or if you should be worried. Paranoia kicks in and now you are worried about everything. Trust me, I know that too well. Happened to me a hundreds times when I was a beginner when it comes to reptiles and it also happened to me often when I bought a new reptile. When you see a ball python yawning, most probably it is a normal behavior, however it could be a sign of disease as well. 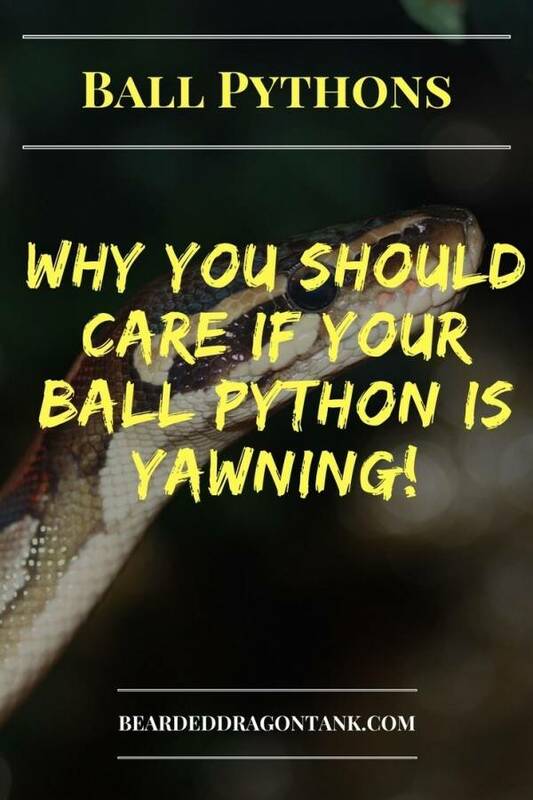 So here is why ball pythons yawn, what it means and when you should be worried about it. Is There A Way To Help Your Ball Python Without Visiting A Vet? This is what every ball python owner will tell you first. Yawning is a normal behavior in ball pythons. Most of the time they do this after they ate. As you know, ball pythons can swallow huge meals without a problem. Most people think that they detach their jaws, but that isn´t the case. In fact each side of the lower jaw can move independently and that´s why snakes can open their mouth so wide. What has that to do with the yawning though? After your ball python swallowed a rat or something like that, it has to get the jaw back into a “comfortable” position. Sometimes it does not really fit and that´s why they open their mouth to position the jaws correctly. So snakes do not yawn like we humans do, because we are tired or bored. You should definitely be worried if your ball python is yawning all the time. While it is normal that they yawn from time to time even if they did not eat, it shouldn´t be all the time. Sometimes you can even see your ball python opening it´s mouth all the time or you might even hear your ball python sneeze. I know it sounds crazy and somehow cute, but ball python really can sneeze. If you something clicking in your reptile room, it could be your ball python sneezing. We all know that ball pythons can be picky when it comes to food, but if your ball python does not eat anymore and is yawning a lot, this could be a bad sign. That could be a respiratory infection or a lung inflammation, for example. You might be able to see something like a slime in your ball python´s mouth when it is yawning. It is definitely time to take your ball python to a vet now. Stuff like this most of the time happens if the temperature inside the snake´s enclosure is not right or if you have too high humidity in the ball python´s enclosure. If you need help to get the right temperature in your ball python tank, read my heating guide! I know that many people think that ball python´s need a very high humidity. However the truth is that ball pythons do not come from a tropical area. They live in a rather dry area, so you should not have a too high humidity. If you need help to get the humidity in your ball python tank right, read my humidity guide. I know that a lot of reptile keepers do not have a reptile vet near them. I also know that reptile vet bills can be pretty high. However there is absolutely no way if you are not a very experienced reptile keeper. You definitely should take your ball python to a vet. As you see, yawning is absolutely normal for ball pythons and you should not be worried as long as you do not see the other signs that could show that your ball python might be sick. If you have any questions, leave a comment below and I will be more than happy to help you out. Author beardeddragontankPosted on April 18, 2018 Leave a comment on Your Ball Python Is Yawning? Why You Should Care About It! Ball pythons (Python regius) are amazing creatures and most probably the most common pet snake. The problem with these snakes is that they are praised as beginner snakes and that there are so many available on the market with the most amazing colors ever. A lot of times this persuades interested people to buy this snake sooner that they should. That´s why a lot of ball pythons do not get as old as they could. 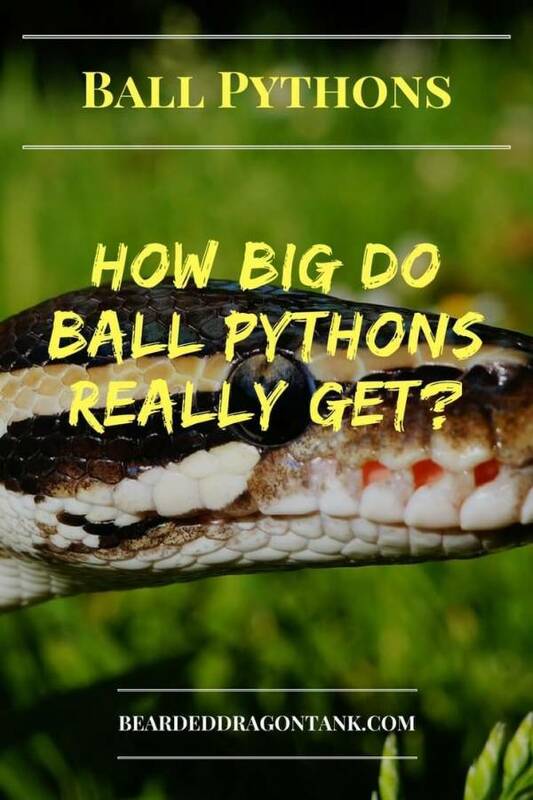 The fact that you are reading this article shows that you are doing your research and want to make sure that you are aware of everything when it comes to keeping ball pythons. That´s great! In this article I am going to show you how old ball pythons get and which mistakes in husbandry you should avoid in order to guarantee a long ball python life. So most of the time you will probably hear that ball pythons get around 15 years old in captivity. Some even had a ball python which got around 20 years old. This is definitely a good age, however ball pythons can even get way older than that. 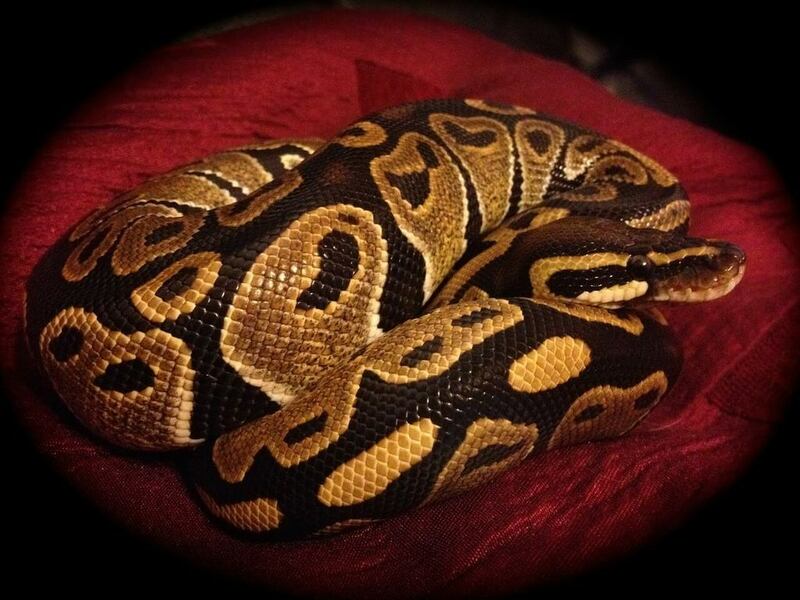 The oldest ball python I know of got 47 years and 6 months old. As you see, this is a very long time. While it is not guaranteed that your ball python will get over 40 years old, it could happen. So if you are looking for a pet that can get really old, a ball python is the snake you are looking for. 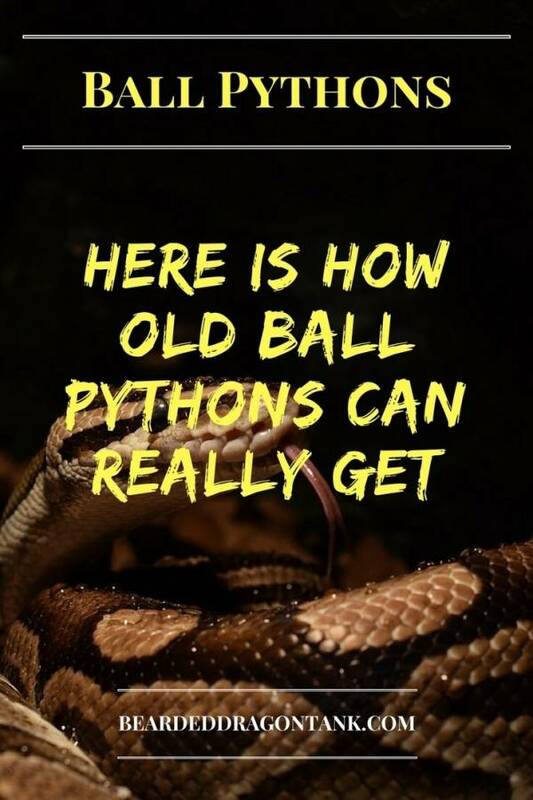 Now you know that it is definitely possible that your ball pythong gets almost 50 years old, but why do most ball pythons in captivity only get around 10 years old? Here are a couple of reasons for that. The age-old question: should I get a glass terrarium or should I get a plastic box for my ball python? Actually it doesn´t really matter. While I think that it is way more amazing to have a ball python in a glass terrarium, a plastic box can work just as fine. What´s really important is that you reach the right temperature and the right humidity in the enclosure. That´s the problem here. Especially reaching and keeping the right humidity seems to be a huge problem for most keepers. If you don´t have the right humidity, your ball python will most probably have problems with shedding. You might know that this is a energy-sapping process. Ball pythons can even have a little bit of an attitude during shed. Shedding problems can end pretty badly. Further there might appear other health problems as well. The Ball python is known for being a little bit of a picky eater. Many ball python keeper feed to small mammals which can make feeding even harder. In my opinion it is better to feed bigger mammals, this way your ball python will grow better and you will not be that stressed if your ball python does not want to eat for a longer time. Being a picky eater is highly related to the next point. While baby ball pythons can have a little bit of an attitude, most adult ball pythons are pretty calm. That´s another reason why this snake is so popular as a pet snake, by the way. The problem with that is that many keepers tend to handle the snake a little bit too often, even if the snake should be left alone. For example, handling the snake when it just moved in should definitely be avoided. Same goes for during shed. Most ball pythons just don´t like being touched during shed. Stress can lead to not eating. That´s why I said that being a picky eater is related to stress. Don´t get me wrong here, stress is definitely not the only reason for being a picky eater, but in can be a reason. If your ball python might be stressed out, try to feed a dead mammal during the night. Bally pythons come out to drink and eat during the night and being alone and “safe” during the night, could lead your python to eat. As you see, ball pythons can get very, very old and if you want your ball python to get old, the husbandry should be on point. Further you should get to know your snake. I think every snake keeper can tell if the ball python wants to be left alone or not. So you know bets when your ball python might be stressed or not. 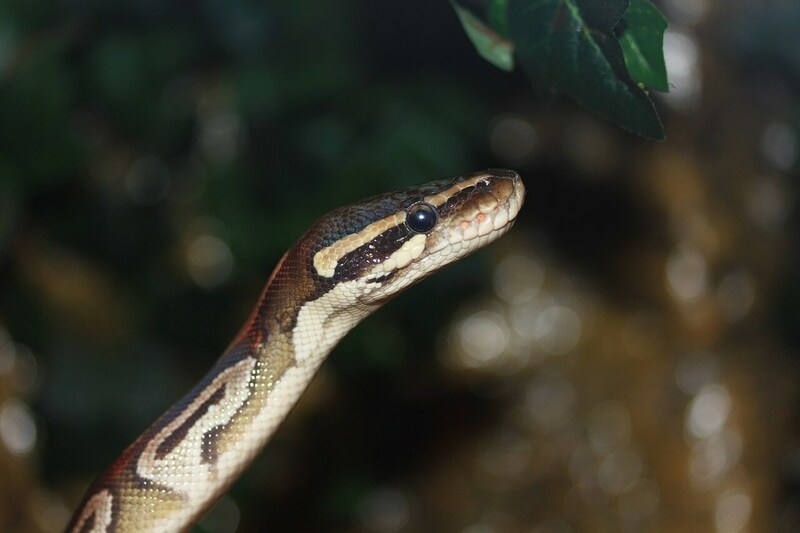 If you make sure that your ball python is healthy, in a healthy enclosure and most of the time stress-free, you will have a ball python that gets very old. Further I want to say, that a little bit of stress from time to time, won´t kill your snake. However continuous stress should be avoided. 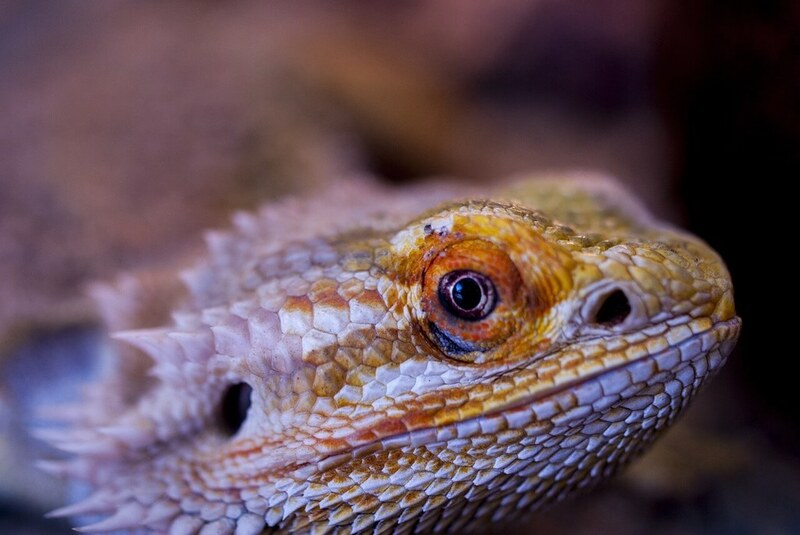 When it comes to supplements for bearded dragons, there are a ton. Standing in front of dozens of different supplements in a pet shop is a really confusing experience. You might ask yourself, okay, what do I really need here? If you go and get a pet shop seller to help you, you probably end up with 4 to 5 different things since you were told that you need it or to get it “just in case”. I don´t mean to bash pet shop sellers here, they are only doing their jobs, however this is not a website for pet shop sellers. This is a website for you. I want to help you to take care of your bearded dragon. I want to help you to save some money, that´s my job here. 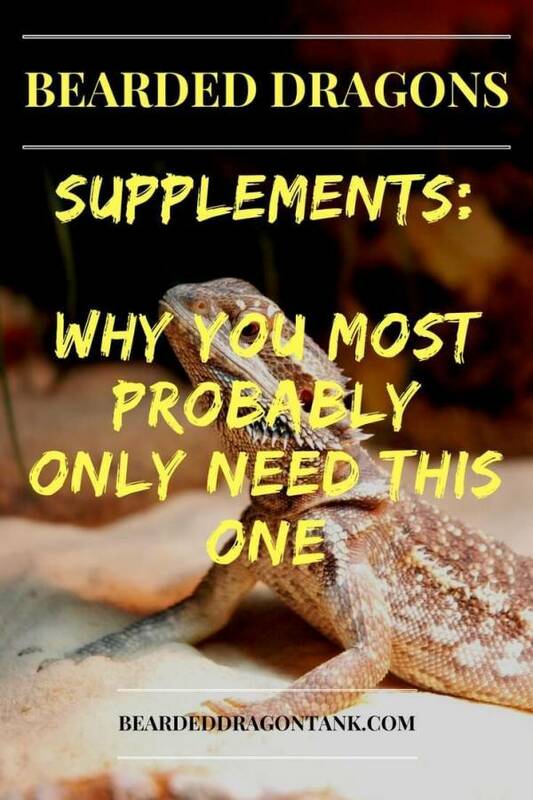 So in this article you are going to learn, why you most probably do not need 95% of all the bearded dragon supplements. So Which Bearded Dragon Calcium Should You Get? The only supplement you really need is a calcium supplement. I know that there are tons of different supplements that look good and seem to be good, but the truth is that you will most probably only waste your money. Further most other supplements do more harm than good. I will come to this later in this article. When it comes to calcium you probably have seen that there are different calcium supplements on the market. Some calcium supplements are with vitamin D3 and other are without vitamin D3. So what is so special about vitamin D3? I explain it really simple. Bearded Dragons need vitamin D3 to stay healthy. The vitamin D3 is needed to process the calcium which is needed for their bones to stay solid and healthy. 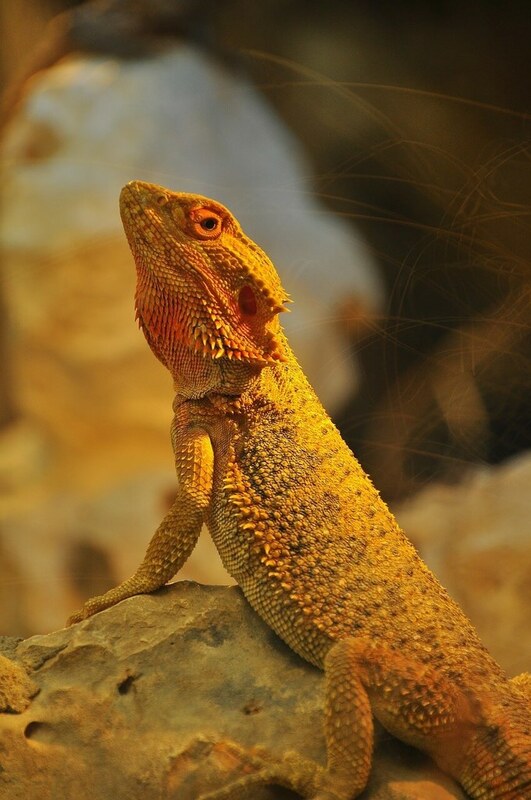 Without vitamin D3 and without calcium, your bearded dragon´s bones will get soft. After a while your bearded dragon will be completely deformed, it won´t be able to move normally and it won´t be able to eat anymore. This horrible disease is called metablic bone disease. I wrote an entire article on that disease here. So given the fact that bearded dragons need calcium and vitamin D3 to stay healthy, calcium plus vitamin D3 seems to be the best choice, right? Actually that´s not the case. If you have proper UVB lighting installed in your bearded dragon tank, you don´t need any further vitamin D3. (Need a lighting guide?) Your bearded dragon is able to produce enough vitamin D3 to stay healthy and to process the calcium properly. I recommend to get this lighting bulb, since it is the very best on the market. Get your calcium supplement here! However there are cases where bearded dragon need more vitamin D3. That might be if you don´t have a proper UVB light or if your bearded dragon is sick and your vet recommends it. In this case, get a calcium supplement with vitamin D3 here! That´s actually pretty easy. 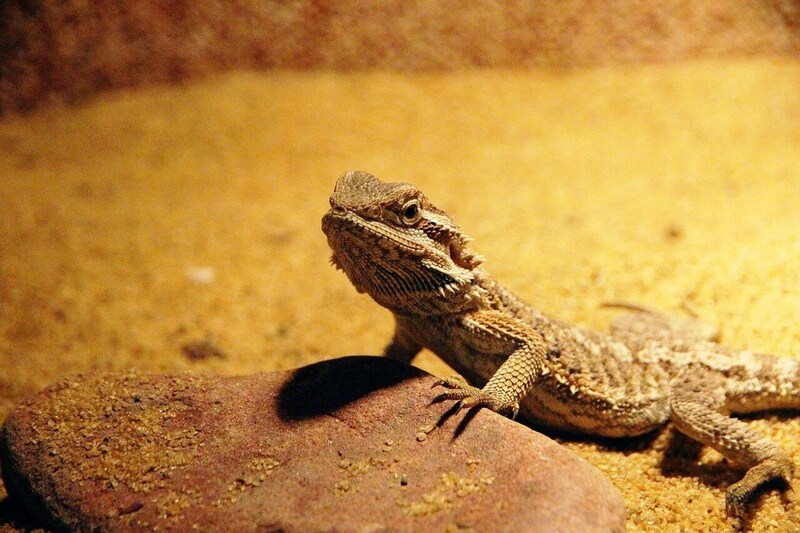 Whenever you feed your bearded dragon with feeder insects, dust those insects with the supplement. You should definitely do this everytime you feed your bearded dragon, in order to make sure that your bearded dragon get´s enough minerals. This is what most people don´t do and that can be a big mistake. Your bearded dragon should have access to a calcium source all the time. If you break or cut off some small sepia pieces and offer it in a food bowl, your bearded dragon will eat some of it from time to time. Your bearded knows exactly when it needs to balance it´s minerals. If you don´t do that, your bearded dragon might start to eat substrate (if you use any). If your bearded dragon eats too much substrate it might get impacted. This could end pretty badly. So get some Sepia here! An excellent calcium source to offer your bearded dragon throughout the day! If you feed your bearded dragon the right way, you should not need any vitamin supplements. To make sure that your bearded dragon gets enough vitamins, you have to make sure that the feeder insects get enough vitamins and you have to feed the right insects of course. If you feed meal worms all the time, your bearded dragon won´t get enough vitamins as meal worms are just fast food and not meaty at all. Your bearded dragon loves them, but all they do is making it fat, lazy and sick (if fed too often). Instead feed some crickets, or way better, dubia roaches. Dubia roaches are probably one of the best feeder insects you can feed your bearded dragon. Get a cricket keeper like this. Your feeder insects will stay healthy in this box. They won´t start to attack each other because of too little space and none of them will die. Feed the feeder insects with bananas, carrots, apples or other fruits or vegetables. Do not let those vegetables rot in the box together with the insects. Leave them in for a day and then put new veggies or fruits in it. Excellent for housing feeder insects and keep them alive and healthy. This way your feeder insects will stay alive and they will be gut loaded. Simply them with the calcium powder and your bearded dragon gets a healthy meal. If you need more diet tips, check this article! There are situations in which your bearded dragon needs some additional vitamins. Maybe you just rescued your bearded dragon and it was treated very badly, or something similar. It is very important to visit a vet in such a situation. If you need a multivitamin powder, I recommend to get this. Rule of thumb is to give your bearded dragon a little bit of it once a week. (Dust the feeder insects with it. You see, there is no need to buy tons of different supplements or dry food or whatever you can get out there. Making sure that your bearded dragon gets enough vitamins is easy. Using vitamin supplements in addition to that could be toxic for your bearded dragon. 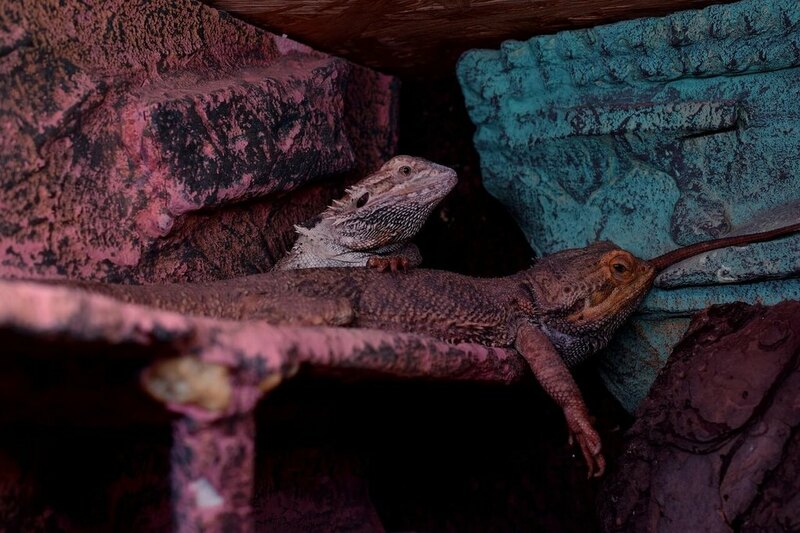 Many bearded dragons die, because owners used those supplements in a wrong way. Feed your bearded dragon like you read above and be attentive, you will know if something isn´t right. If you feel that there is something wrong with your bearded dragon, do not hesitate to take it to a vet in order to make sure that your husbandry is on point. Have fun with your beardie! When it comes to our pets, all we want is that they are happy and healthy, right? If you are like me you are probably worried all the time about your bearded dragon. Sometimes it might be a little bit too much. However, how are you supposed to know what is normal and when you should be really worried? 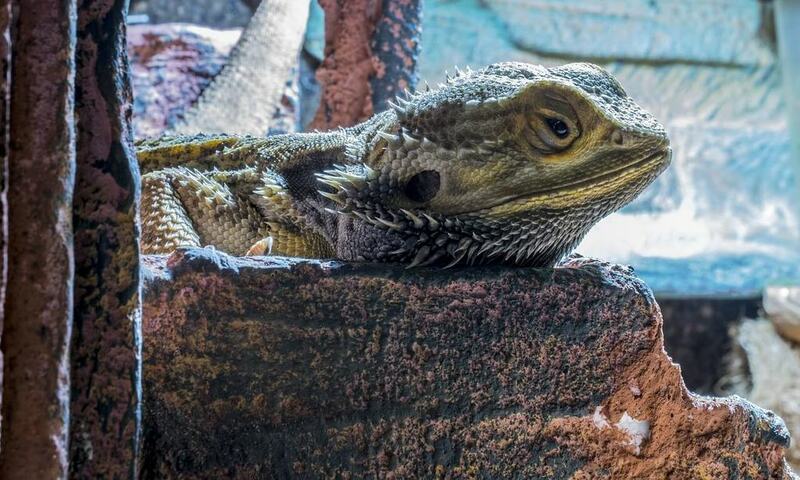 In this article you will learn about a couple of reasons why your bearded dragon is lethargic and what you can do about it. And most probably if you should do something about it at all. Before you start reading about the reasons I want to say that most of the times we are simply worrying too much. It most probably has a very natural reason why your bearded dragon acts like it acts right now. I hope I can take a little bit of your nervousness away with that. So without further ado, here are the reasons for your bearded dragon acting lethargic. Here are the most common reasons why your bearded dragon might appear weak and lethargic right now. Especially the hot spot has to have a temperature of 95 °F to 110 °F. 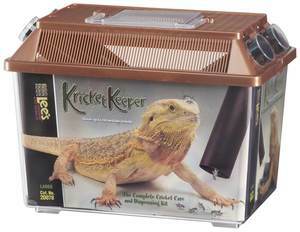 If that´s not given, your bearded dragon is not able to get on temperature. If your bearded dragon is not able to get on temperature, it won´t move, eat or drink much. So always check your lighting if your bearded dragon is acting weird. If you need help with creating the right temperature in your beardie tank, simply read my temperature guide here. What is bad husbandry? Well, it includes everything when it comes to bearded dragons. Is your lighting okay? Is the tank big enough for your bearded dragon? Do you feed enough? Do you feed to little? Does your bearded dragon get enough vitamins? Does your bearded dragon get enough exercise? You see there are a lot of points you have to check, but if you do, or if you already did your research, you should have no problem to answers the questions above with yes or no. My bearded dragon care guide, might help you with that. Unfortunately, a bad beardie diet is so common that I have to mention it again, even though it is a part of bad husbandry. The problem is that the majority of bearded dragon keepers feed their bearded dragon too often, too much and they feed the wrong food. Adult bearded dragons should not eat too much meat, they should actually eat more greens. If you need some help when it comes to beardie diet, read this article! Here are the common reasons for such a behavior. Bad husbandry is not always the reason for a bearded dragon being sick. Sometimes it is just bad luck. It happens, take your bearded dragon to a vet as soon as possible if you suspect a disease. A common disease in this case is metabolic bone disease, which is caused by a vitamin D3 deficiency. If that´s the case, you should definitely check your UVB lights! Another common “disease” is impaction. Your bearded dragon might ate some substrate or you might feed feeder insects that are too big. Those things could get your bearded dragon impacted. In really bad cases, bearded dragons can´t move their legs anymore. In this case, you should definitely get your beardie to a vet as fast as possible. If you think it might be impaction, read my impaction guide here, to learn how you can help your bearded dragon. I know that the word parasites alone sounds disgusting. 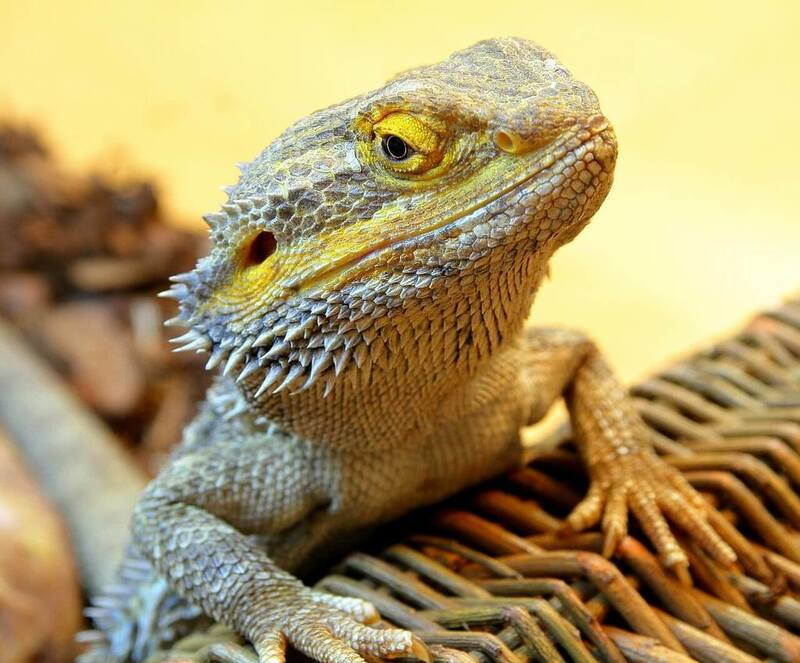 Unfortunately your bearded dragon could have parasites. Sometimes beardies get them through the feeder insects, so you should always make sure that you order from a trustworthy seller. Another reason for parasites could be a very dirty environment. Where do you keep your bearded dragon? In a tank? Outside? Are you making sure that the habitat gets cleaned often enough? Honestly, this doesn´t happen too often. Bearded dragons are actually used to being dehydrated. In the wild they often times do not find any water and get most of their water from plants and dew drops in the morning and from crickets, locusts and so on and so forth. If your bearded dragon is lethargic, has sunken eyes, does not want to eat and lost a lot of weight, it might be the reason. However you should also see this symptom: Pull on your bearded dragon´s skin. If it does take a while to get back into a normal position, your bearded dragon might be dehydrated. Also, your beardie´s stool might be very solid. Bearded dragons are very calm and are praised as the perfect beginner reptiles, or kid´s reptiles. However this fact often leads to a too careless handling and behavior around the bearded dragon. Just because a bearded dragon doesn´t flee or bite, it does not mean that it likes what´s happening. Further you should create a lot of hides in the bearded dragon tank. If your bearded dragon wants some alone time, it should always be able to hide in a quiet place. This is especially important if you just got your bearded dragon. Give your little dragon some time to get used to the new home. It is most probably not one the reasons below, however just because they are rare, it doesn´t mean you shouldn´t know them. Most people know that bearded dragons go dormant once a year. If you are new to reptile keeping and didn´t know that, don´t worry about it, we were all beginners at some time . Bearded dragons brumate most of the time at the beginning of November. They act a little bit weird before that, stop eating and drinking and are very inactive. If your bearded dragon still acts like that after the brumation, you should take your bearded dragon to a vet. It could be that your bearded dragon was sick before the brumation or your humidity, or your temperature wasn´t okay during brumation. If you need more information on brumation, read my brumation article. Your bearded dragon might need some sugar. If bearded dragons are stressed as hell for a long time or if the feeding wasn´t okay for a very long time (or after brumation), it can happen that your beardie needs some sugar. You can give your bearded dragon some fruits in that case. Sugar will immediately cause a change in your bearded dragon´s behavior. So I hope this article helped you to find the reason why your bearded dragon is lethargic. If you have any questions, leave a comment in the comment section below. 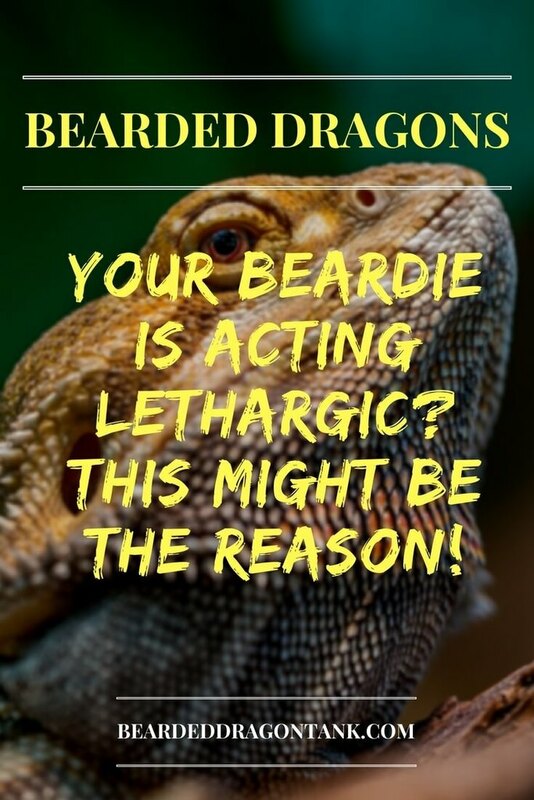 Author beardeddragontankPosted on April 11, 2018 Leave a comment on Is Your Bearded Dragon Lethargic? This Is The Reason! First of all, that´s awesome. It is definitely better to prepare yourself and to make sure that this pet is really what you want before actually getting it. So do bearded dragons make good pets? In this article I will not only tell you what is so great about bearded dragon as pets, I will also tell you what might be a little bit of a downside for some people. 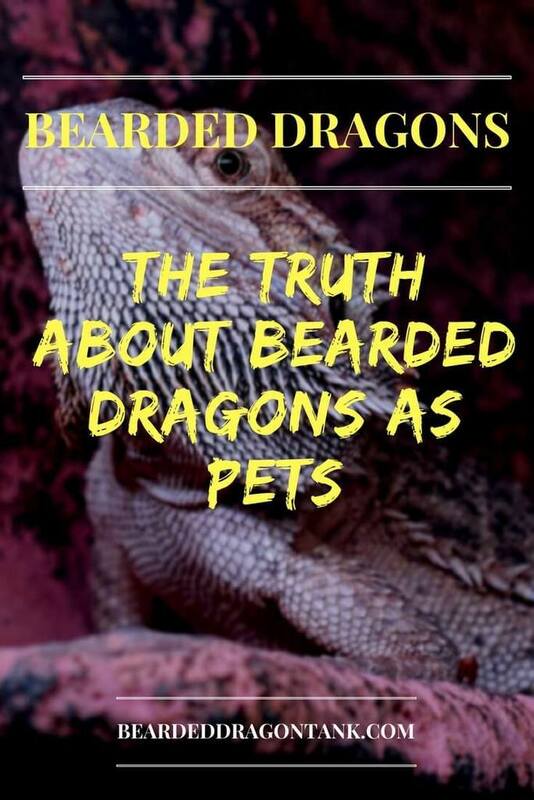 I know it might be surprising for you that this is the first good thing I have to say about bearded dragons. Especially if you are a beginner. Getting started with bearded dragons can be quite complicated. However as soon as you know the basics about reptile keeping, you will realize that bearded dragons are quite easy to care for. They don´t need high humidity, they eat pretty well and they are really hardy. So they are very forgiving when it comes to mistakes in husbandry. However that should not mean that you can keep them in a poorly equipped tank, of course. This is a pretty weird reason, especially because it probably doesn´t make sense to you at the moment. However you actually can choose your size when it comes to bearded dragons. A “normal” bearded dragon probably won´t get longer than your forearm, which is a good size for a pet reptile in my opinion. Some people, especially beginners, want a reptile that stays smaller though. 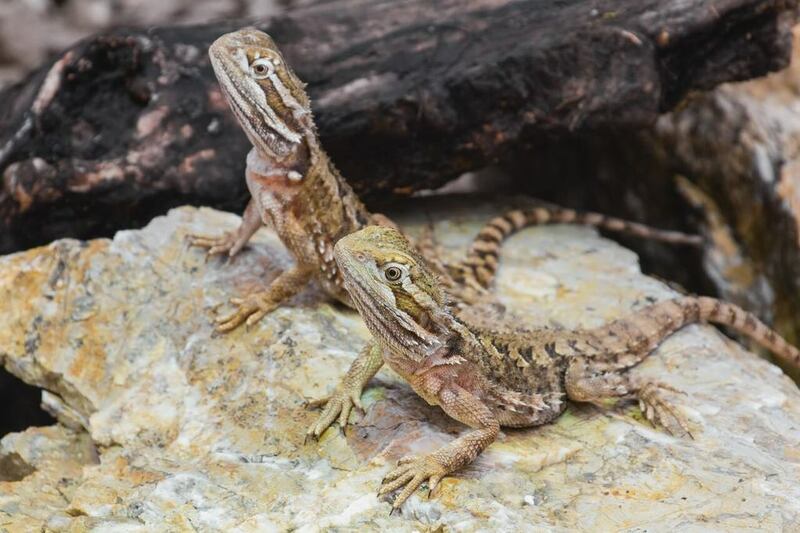 The great thing about bearded dragons is, that there is a mini-me version of them. The dwarf bearded dragon which stays pretty small. So if you don´t have enough space for a bigger bearded dragon tank, or if you are afraid of a full grown bearded dragon, just go with a dwarf bearded dragon! If you want to learn more about beardie sizes, check this article out! Baby bearded dragons should eat crickets, roaches, locusts almost every day, there is no way around it, but adults should only get meat 2- 3 times a week. This might make you happy if you are grossed out by the idea of having crickets in boxes in your house each and every day. More on feeding bearded dragons here! This is probably nothing new for you. Bearded dragons are known for being very calm. This makes them an exceptional good reptile for beginners and for kids. If you are a parent, or a grandparent you might be concerned about your kid getting bitten. The chances are very low if you get a bearded dragon. The rarely bite, and if they do, it doesn´t hurt that much. A bite from a baby bearded dragon doesn´t hurt at all. If you want to know how bad a beardie bite is, check this article out! Since most bearded dragons are so relaxed, you can do a lot of stuff with them which you could not do with other reptiles. For example, it is very common now to take bearded dragons for a walk. Of course, you got to have the right temperature outside for that, but it is possible. If you have a garden, you can take your bearded dragon with you outside, let it dig holes in the ground or simply enjoy the sun. Actually there are tons of things you can do with your bearded dragon for fun inside as well. Simply have a look at my toys and activities article here! It is a common reptile, but it is not a very common pet. Bearded dragons literally look like little dragons without wings. Who can say that they own a little dragon? Especially for kids, this is simply awesome. Imagine your kid talking to friends in school and telling everybody the new family member is a bearded dragon. I can tell you, when I was a kid, this was one of my biggest wishes. Unfortunately, my parents were not that impressed with reptiles as I was. A majestic bearded dragon knowing that it looks majestic! You can take a dog or a cat with you on vacation, but not a bearded dragon. You can leave an adult bearded dragon alone for 2-3 if you have the right tank setup for that, however if you go on vacation you need somebody to take care of your bearded dragon. Not many people like to feed a reptile they are scared of with insects they are scared of.